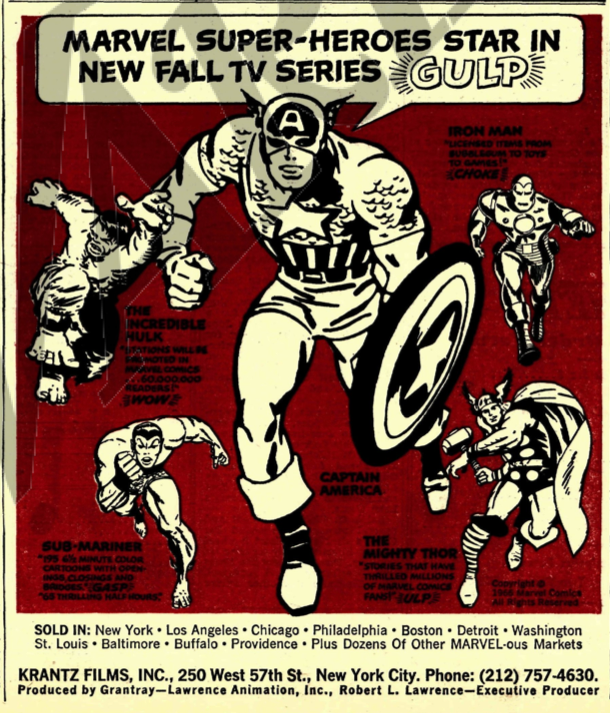 If you grew up in the 1960s, you may well remember the brief but clever themes for the Marvel Super Heroes cartoons that featured Captain America, Thor, Iron Man, the Hulk and Sub-Mariner. The animation was pretty cheap, admittedly, but as a Marvel Comics fan I watched them all religiously and, truth be told, I can still sing all five of those super-hero songs. I tracked down New York songwriter Jack Urbont, who gave me the surprising story of how he got the gig, where he recorded them, and how they have endured for almost 50 years in American pop culture. 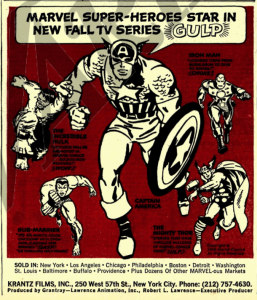 This entry was posted in Composers, Interviews, Television Music and tagged Captain America, Film Music Society, Hulk, Iron Man, Jack Urbont, Marvel Super Heroes, Sub-Mariner, Thor on July 14, 2015 by Jon Burlingame.